“Don't force us to ask where the files are. Don’t force us to judicially intervene. Don’t try to bring this institution to a grinding halt. That's not the right thing to do." “Do you know that most High Courts are working with only 40 per cent of their sanctioned strength?? People are languishing in jails for 13 years for a hearing". Lashing out at the government in the open court for the first time ever since deep differences surfaced between the Supreme Court collegium and the Centre over the memorandum of procedure being readied for judicial appaointments, Chief Justice T S Thakur on Friday bluntly asked the Centre if it was trying to bring the entire judicial institution to a “grinding halt”. The confrontation triggered on October 17, 2015 following the apex court’s quashing of the NJAC law brought by the Modi government which gave the executive and civil society a major say in the appointments virtually touched a flashpoint with the CJI accusing the government of sitting on recommendations of the Collegium. "The collegium has cleared 75 names of high court judges (for transfer/ appointment) but they have not been approved. I don't know why, where these files are stuck," a three-judge bench headed by Chief Justice T S Thakur said while hearing a PIL PIL filed by 1971 war veteran Lieutenant Colonel Anil Kabotra on the issue. 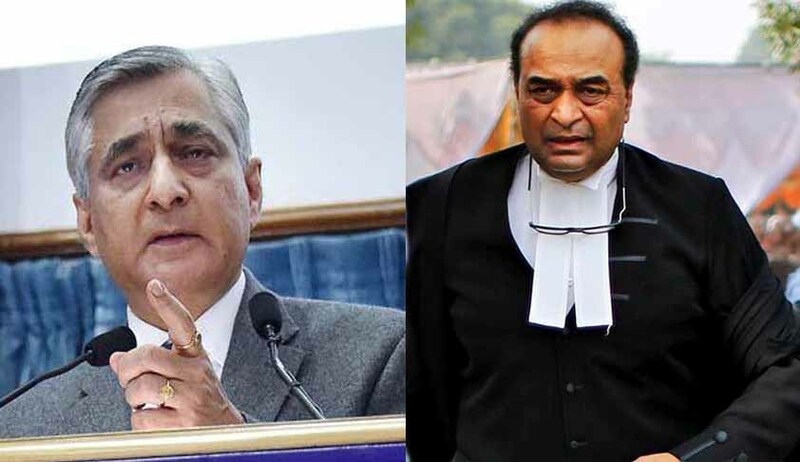 "I will take it up at the highest level and will come back to the court," Attorney General Mukul Rohatgi told the bench and pleaded that no notice be issued for the time being in the PIL. It is to be note that on April 25, 2016, during the national conference of state chief justices and chief ministers , an emotional CJI Thakur went on to launch an unprecedented attack on the present and earlier governments for often blaming the judiciary for mounting backlog of cases, which touched an alarming 3.14 crore, but at the same time doing nothing to improve the number of judges and increasing the number of courts despite repeated pleas from the judiciary. The ratio at present is 10 judges for 1 million people while the Law Commission had way back in 1987 recommended increasing it to 40. As widely known, the collegium headed comprising of the Chief Justice and four senior most judges of the apex court have strong reservations over the draft MoP (memorandum of procedure) giving the last word to the government to reject candidates on the grounds of national security. The Government’s version of the Memorandum of Procedure (MoP) includes a provision for a Secretariat, which would comprise of retired Judges. The Secretariat would be endowed with the power to evaluate complaints against the Judiciary, and recommend the subsequent course of action. The Government has reportedly resolved to formulate the rules for appointment of retired Judges to the Secretariats. The appointments to the Secretariat would be made with the consent of the Chief Justice of India and the Chief Justices of the respective High Courts. “The retired Judges will be working under the CJI and the Chief Justice and hence there should be any misgivings on the executive’s interference in the affairs of the higher judiciary,” a source was quoted as saying. After discussing the matter in detail, Court tagged the matter with a similar PIL, which was filed by Ashwini Upadhyay, an Advocate of the Supreme Court and Spokesperson BJP Delhi and posted the matter for further hearing on 13th September.